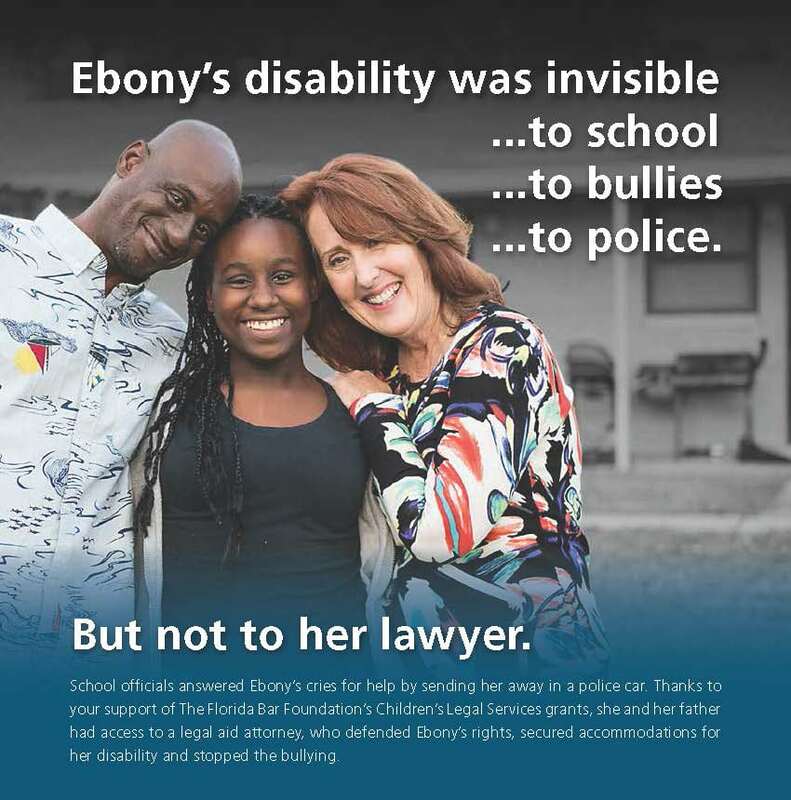 100% OF EACH CONTRIBUTION IS RETAINED BY THE FLORIDA BAR FOUNDATION. A COPY OF THE OFFICIAL REGISTRATION (#SC-1897) AND FINANCIAL INFORMATION MAY BE OBTAINED FROM THE DIVISION OF CONSUMER SERVICES BY CALLING 1-800-435-7352 WITHIN THE STATE OR VISITING ONLINE AT www.800helpfla.com. REGISTRATION DOES NOT IMPLY ENDORSEMENT, APPROVAL OR RECOMMENDATION BY THE STATE. If you have questions about making a gift to the Foundation, please contact The Florida Bar Foundation Development Team at 407-960-7000. Contributions to the Foundation, a 501(c)(3) organization, are deductible as permitted by law. With funding for civil legal aid in Florida at its lowest point in 10 years, a new study shows that every dollar spent on civil legal services for the state’s low-income residents yields more than $7 in economic impacts. 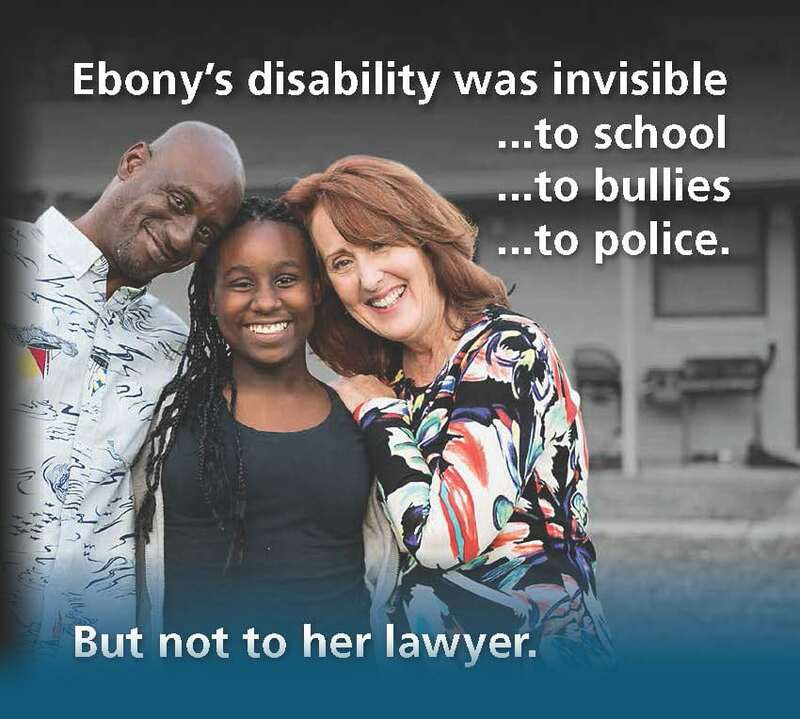 The mission of The Florida Bar Foundation is to provide greater access to justice. Through strategic grantmaking, the Foundation funds civil legal aid and projects to improve the administration of justice and increase the effectiveness and efficiency of the legal aid delivery system. In addition to providing funds directly to Florida legal aid organizations, the Foundation engages in catalytic philanthropy by investing in training, technology, technical assistance, assessment and capacity-building for the legal aid delivery system and works to develop and expand innovative pro bono initiatives. © 2016 The Florida Bar Foundation. All rights reserved.